There has never been a better time to partner with Guildford Hockey Club. With seven Men’s teams, five Ladies’ teams, Mixed hockey, ‘Back to Hockey’, as well as a thriving Junior Section with over 600 children from 5 to 18 years old, our reach in the community represents a fantastic asset to anyone wishing to promote their business or service to an active and engaged demographic. Our extended community of supporters and partners is growing year on year, with many local and national companies, organisations and schools sponsoring the club and benefitting from promotion to our ever-growing membership, as well as to the scores of visiting teams to the club every weekend throughout the season. Our club partners are invited to advertise in our full-colour season brochure which goes out to every one of our members and friends, and is available to visiting teams in the clubhouse as well as being permanently available for download via our website. Click the link to view last season’s edition. Not only do our partners benefit from visibility in our brochure and clubhouse but also on our website’s homepage and this Partner page, with links to your own website. We will keep you visible by retweeting from your own Twitter feed and if you have special events or promotions coming up we can highlight them in our digital newsletter InTouch. This goes out to over 1800 readers every single week. With a bespoke package, we can display pitch side banners to keep your name in the frame of all the match photos, and as a shirt sponsor your company logo can feature on one of our team’s match shirts for the whole season. We specialise in providing face-to-face wealth management advice that is tailored to reﬂect individual circumstances. We place you at the heart of everything we do, and are committed to building and sustaining long-term relationships based on trust, superior service and the quality of our initial and ongoing advice. Hawkinsport not only stock and embroider our GHC kit, you can get just about any sporting equipment or kit that you need from their extensive range. Anything from Badminton to Tennis - and of course hockey!! A leading UK-based fund manager, our objective is to outperform the market and produce long-term returns for the people whose money we manage. Gold-medal-winning and delicious. Refreshingly individual, the recommended serve is with a generous handful of ice, a dash of tonic, and a twist of orange peel to garnish. Founded in 1611, Charterhouse is one of the leading independent schools in the country. It is predominantly a boarding school with boys from 13 and girls in the Sixth Form. The school will be fully co-ed from September 2021. An education tailored for boys: the ethos of the School is underpinned by a deep, innate commitment to fulfilling the potential of each and every individual, irrespective of his passion. Every success, however seemingly small, is noticed and celebrated. What RGS boys do share is a pride in the School, a pride in each other and a pride in achieving the very best of which they are capable. Top-Guards are high-quality, sports gumshields that are custom-made by a qualified dentist and dental technician to protect your teeth in contact or hard ball sports such as hockey, rugby, lacrosse and martial arts. These premium, bespoke mouthguards offer optimum protection, maximum comfort and easy communication at an affordable price. 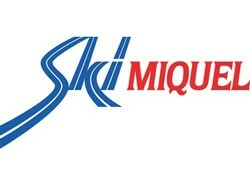 Ski Miquel is an independent, family-run catered chalet-hotel business set up by Richard Johnson in 1980. Specialising in flight inclusive chalet holidays to crowd-free resorts with extensive skiing, they’re one of the ski industry’s biggest secrets. Co-educational independent school, offering boarding and day education for pupils aged 13 to 18, Cranleigh provides a breathtaking range of opportunities in a school small enough for everyone to know and support each other. Pupils lead busy lives now, exceeding academic and sporting expectations, while preparing for life beyond our beautiful rural location. Looking for a venue for your special event? Need someone to cater it, too? Look no further than your friendly, local hockey club...contact Dave or Tony Hall for more information to make that special event even more special. Guildford Harbour Hotel and Spa has a prime position in the heart of the town - perfectly located for business or leisure. This 183 room hotel features two stylish restaurants as well as the vibrant Long Bar serving an array of delicious cocktails, wines, spirits and beer as well as tasty light bites. 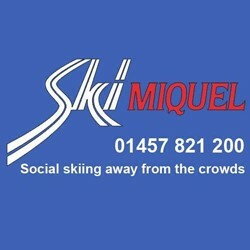 Or phone him on 07903 761 838. Thank You.